Doris S. Michaels Literary Agency, Inc.
We are celebrating the 20th anniversary of my DSM Agency on November 3rd, 2014, with a big and exciting change. It is with great pleasure that I introduce you to Sheree Bykofsky Associates, Inc.
Sheree will be taking over our list of DSM Agency titles, effective immediately. Thank you all for your business over the past 20+ years. Sheree Bykofsky Associates, Inc. (SBA Agency) is a member of the Association of Author’s Representatives (AAR) and will continue to work with all of you to handle the current — and hopefully future — intellectual properties in the same professional manner that you have experienced with the DSM Agency. I first met Sheree 20 years ago as I was starting my company and she was kind enough to be my mentor. So now we have come full circle and I’m extremely proud to leave you all in good hands. 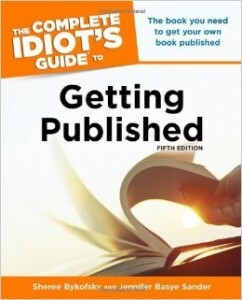 The Complete Idiot’s Guide to Getting Published, 5th Edition, which is certainly NOT for idiots! Sheree and I are thrilled to be moving forward in this new direction and are optimistic about the future of publishing. DSM Agency is currently not taking on new projects. After 20 years in business, with 90 clients, about 600 deals made (over 100 domestic, 450 translations, 50 subsidiary rights), and 20 interns, I have decided to concentrate on the business we currently have and take a break from adding new clients. The industry is changing rapidly and I need time to rethink the literary agency business model. Our family also continues to mourn the loss of my dear brother and his son: http://adventuremagazine.co.nz/tribute-to-marty-and-denali-schmidt/.